It is so important to show our thanks to the Veterans in our community. Below are a few events going on in honor of our Veterans. 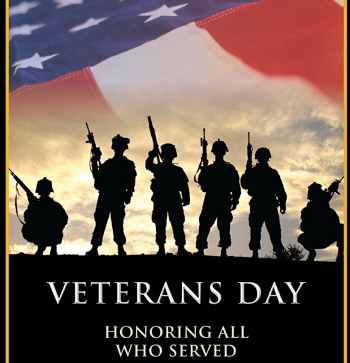 THANK A VETERAN! We are looking for pictures and stories of Veterans (living and deceased) to honor on Enjoy Utah throughout the month. If you have one, email us a picture and a description of that person to contact@enjoyutah.org. Thank A Soldier There are many ways you can tell the soldiers and veterans thank you for the freedoms you enjoy. They sacrifice their lives, and their families sacrifice time away from them, to give you the freedom you have today. Learn about many ways you can show your gratitude. Even if you don't leave your house to attend one of the following tributes, you can still teach your children about Veterans Day with these worksheets and printable. FREE Admission to America's National Parks America’s 398 national parks will offer everyone free admission during the Veterans Day weekend in honor of those that serve and have served in the United States military.